The rockstar of home gyms This award winning gym features a commercial quality abdominal crunch station built right into its head pad. A seated leg curl station for shaping glutes and strengthening hamstring muscles. As well as a patented dual back pad tilt for superior fit and comfort. Visually inspiring and compact enough to fit on a 4'x 6' mat. The M3 is constructed of commercial 11 gauge steel, nylon pulleys, 2000lb. tensile strength cables, and precision ball bearings in its press arm pivot. It also comes standard with a 210lb weight stack for even the most serious lifters. At Inspire Fitness we will never submit to fashion over function. However, weâ¬"ve decided that there is nothing wrong with having both. The M3 is the home gym that the critics call "The Bomb". Check it out for yourself at your closest authorized Inspire retail showroom, and decide for yourself. The M3 has it all and will help you obtain a body you never thought possible. 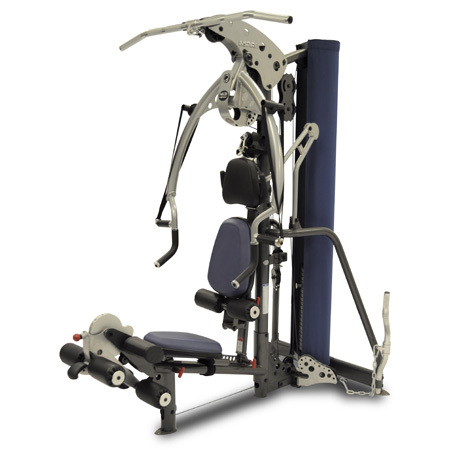 Warranty Inspire Multi-Gyms have a Residential Lifetime Limited Warranty and a 10 year Light-Commercial Warranty.